Mariah & Rob from Ballam Films on Vimeo. April 27, 2012 is a day I will never forget and long to live over and over. I can't believe I have been married for a year. I can honestly say it has been the best year, I am still so in love with my husband and if I had to do it over again I can say that I would pick the same guy to spend the rest of my life and eternity with. I am so blessed. 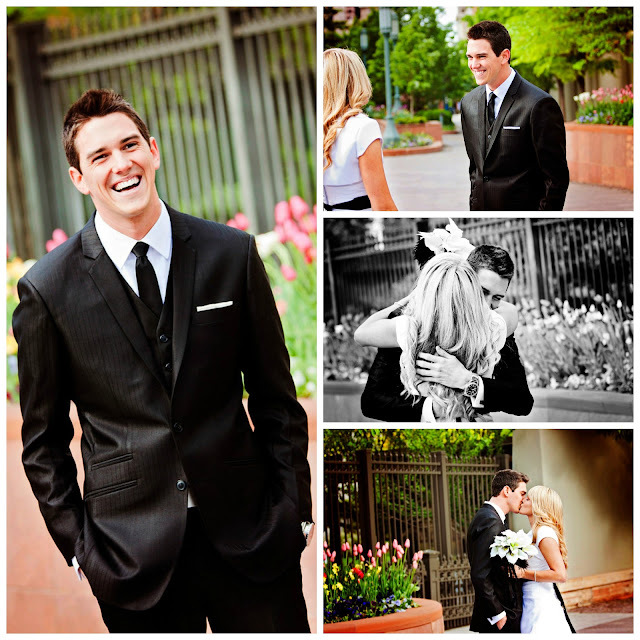 He has taught me so much about life, love and the gospel. Rob and I had to be at the temple at 9:30am because we got married at 11am. I wanted to get pictures of Rob seeing me in my dress for the first time and since you can't take pictures in the temple and that is where he would see it for the first time, we met up outside the temple at about 8:30am-9am and took some pictures of him seeing me for the first time. So we did keep the tradition and the first time he saw my dress was on our wedding day! Coming out of the Salt Lake temple. Looking at my pictures honestly gives me the chills and makes me want to cry.. with joy of course. The whole day was perfect! :) Coming out of the temple was so overwhelming seeing all of my family and friends standing outside waiting for us, cheering us on! 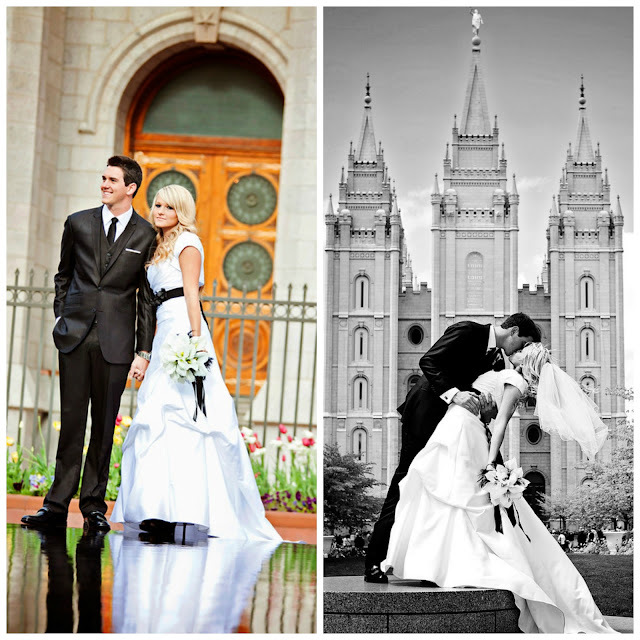 It made me realize how much love and support we had and have for our marriage. Bridesmaids and Groomsman. I wanted the bridesmaids to wear different black dresses with matching shoes and accessories. 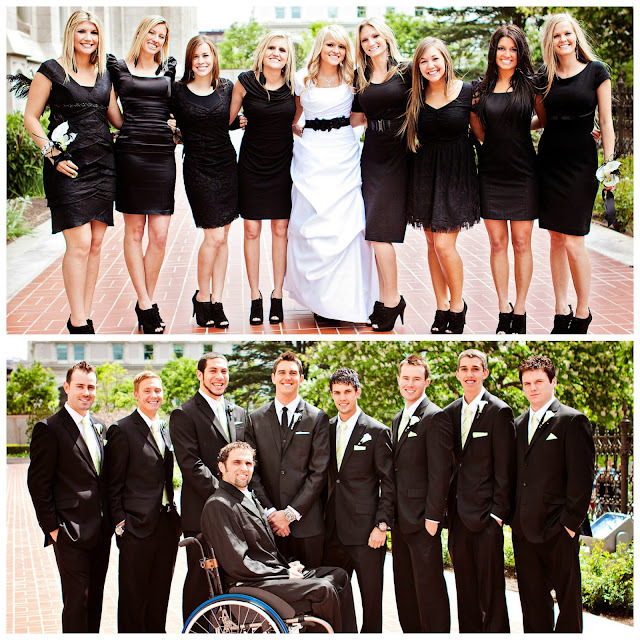 All the groomsmen wore black suits (we don't like the look of tuxes) with matching mint green ties. Everything pulled together exactly how I wanted it! We had the most amazing photographer and videographer. They were so nice to work with and definitely knew what they were doing. I would recommend them any day! :) My photographer was 4 or 5 months pregnant and still did amazing. And the video at the beginning of my post was done the same day and played at my reception. They are both so TALENTED!!!! 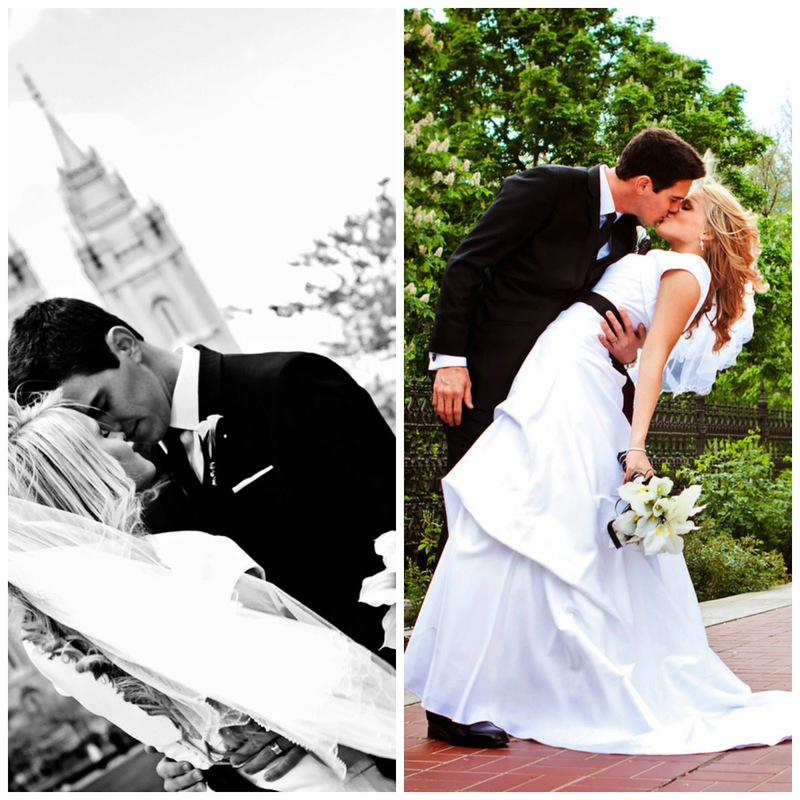 I am so glad I met Rob and was able to be married to him in the same temple that both our parents were married in. It was such a special day. I am so in love with my husband, I don't know what I would do without him he is so patient and kind. I am so lucky! I LOVE YOU ROB HOPKINS, thank you for making me the happiest girl alive!! Your wedding was so beautiful!! 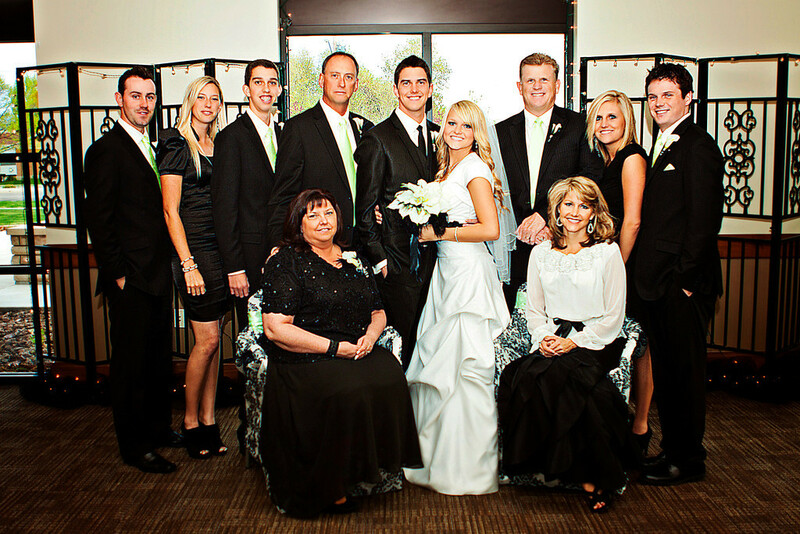 I am so grateful that I got to be a part of your special day. Congrats to you and Rob. I felt the same way about our first year.....if that's supposed to be the hardest year....this is going to be AWESOME!! !